At Brizzey, we are inspired by the mission of delivering new medications to those who need it. We understand that every new product is important to somebody and therefore, we should do everything we can to help deliver those medications as effectively and as efficiently as possible. We also believe strongly in the power of people and strong partnerships. As a result, you'll see us actively working with various industry groups to help foster relationships, share knowledge, and continuing to build a strong network of individual dedicated to the mission of delivering new m﻿﻿edications. 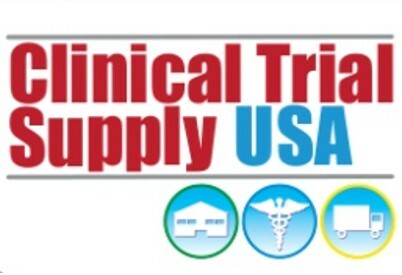 May 16, 2017 - Applied Clinical Trials published Mitigating Supply Chain Risk, an article co-authored by Chad Presher (Biogen), Adam Sheriff (Biogen) and Lorna Briddick (Brizzey), which described how the clinical drug supply team at Biogen, in conjunction with Brizzey, developed a decision-making framework that integrates real-world signals with clinical supply planning techniques to proactively reduce supply chain risk and avoid potential supply interruptions. Lorna presented on Disaster Planning in Clinical Supplies at the EPICS group meeting, 31st March 2015 in Mount Laurel, New Jersey. May 15-16th 2014 Brizzey was pleased to assist the ISPE (International Society of Pharmaceutical Engineers) Investigational Product Community of Practice (IPCOP) Steering Committee in developing their five year strategic roadmap. We facilitated an analysis of the unmet needs of clinical supply groups supporting the pharmaceutical industry and then a Strengths, Weaknesses, Opportunities and Threats (SWOT) analysis on the IPCOP’s ability to meet those needs. The results of these two analyses were then used to craft elements of the strategic roadmap.